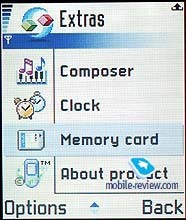 Nokia 7650 is very important product, it was the first device based on Symbian OS. Due to right marketing policy, it was very successful on the market. But there are no ideal solutions and Nokia 7650 is not an exception. The main shortcoming of this device were the following: absence of bluetooth headset support (this technology was used only to transmit data), small memory pool (4 Mb) and impossibility to expand it. There were many rumors about a new phone without these shortcomings that would launch in the near future. 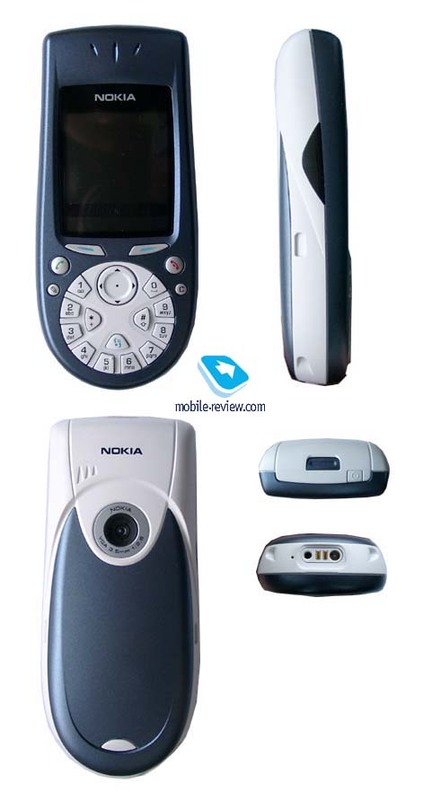 It was even named as Nokia 7650i. The model was really appeared and it was called as Nokia 3650. But it is positioned as a smartphone aimed to youth market, not business users. The main reasons of this solution are hidden in marketing policy. Sales of 7650 were really large and revised version couldn’t have become so popular among business users. The aim of the company was to offer a similar device without shortcomings of Nokia 7650 to a new target group and provide large sales. It was not difficult to find a new target group. Nokia 3650 is aimed to young people, as youth market is rapidly developed today. So, concept of design was selected considering wishes of a new target group. The phone is made in bright colors; besides, interchangeable covers are available. Now three standard colors are available: Dark Blue, Grey and Yellow; extra covers are made in Blue, Fuchsia and Purple. On the contrast to Nokia 7650, this smartphone has a fixed construction. On the one hand, it caused increasing of phone dimensions (130 x 57 x 26 mm) and on the other, it allowed to reduce a weight up to 130 grams (Nokia 7650 weighs 154 grams). Dimensions and weight of the new smartphone are lager compared to size of modern phones of the new generation, but you could easily put it in the pocket of jeans. By the way, it’s rather difficult to find a phone case for this model except original one. IrDA is placed on the left-hand side of the phone. A power on/off key is traditionally positioned on the top of the phone. A charger connector is located on the bottom of the handset. Absence of Pop-Port shows that this device is based on the old platform and it had been developed for a long time. On the other hand, it could probably mean that it is a better version of Nokia 7650. Nokia 3650 doesn’t have any coverd backlashes. If you remove a rear part of the phone, you’ll see a battery. Unlike Nokia 7650, 3650 is equipped with a battery of 850 mAh capacity and it has a longer autonomy. According to the manufacturer, smartphone could provide up to 2.5-4 hours of talking time and 150-200 hours of standby time. In reality it worked about 2 days (in case of 30 minutes of talking and 30 minutes of using other applications, for example games). Time of full re-chagrining is about 1.5 hour. A standard delivery kit includes MMC memory card for 16 Mb (sealed envelope). MMC memory card slot is hidden under the battery. A solution to place it there seems to be not very well-weighed. 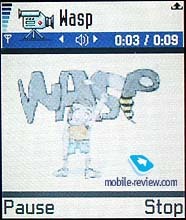 You will be tired to change cards if you decide to use this phone also as mp3-player. Purchasing the new smartphone, don’t think that you will change cads very often. The MMC-card allows storing different data: video, audio, photos and programs. 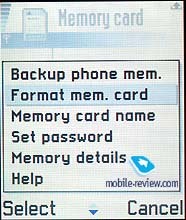 Due to MMC-card, capabilities of standard internal phone memory can be considerably expanded. A lens is located on the backside of the phone. According to the manufacturers, Nokia 3650 has the same lens as Nokia 7650. Shooting modes were not changed. We think that photo quality (or, more precisely, automatic settings) was improved, pictures look much better than on Nokia 7650. Certainly, we can’t compare them to usual photos made by digital cameras, because the main aim of these phones’ cameras is to take picture, which looks attractive on the display of the smartphone (the resolution of the display is 176x208 pixels). 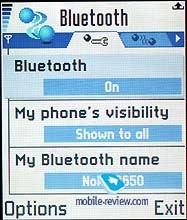 There are no surprises in the menu, as it is similar to Nokia 7650. If you like to read about functions of the phone in details, please, check a respective review. 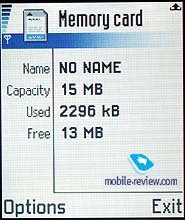 Nokia 3650 has a new utility, which enables to work with MMC-card. You could set a password to protect the information, format the card, transmit data. Generally speaking, all capabilities are standard. Set of videos is included in the standard delivery kit. They are rather short and funny. 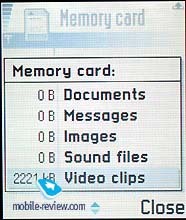 Depending on the country, standard software could include an utility, which allows to take not only pictures, but also record short video clips . Many customers are interested in peculiarities of bluetooth functions, considering that Nokia doesn’t have an original headset. To say the truth, I was disappointed. In my opinion, this function is realized not correctly, sometimes the connection is failed and you need to set a headset manually. 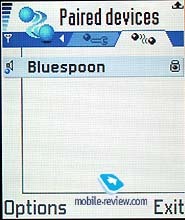 Bluetooth function was tested with BlueSpoon and Sony Ericsson HBH-60. Other changes from Nokia 7650 were not noticed. Sound quality and reception quality are traditional for the phones from Nokia. They are rather good. May be you are bored to read this phrase almost in each review, but all phones of one manufacture have a standard transceiver and they couldn’t differ from one another. So, sound and reception quality are almost the same in the phones of one company. Price police seems to be very interesting. Price of the first phones will be about 450 USD, then it would fall down (to 350 USD). We could recommend this phone to young people, who are 15-22 years old. We think that elder people prefer models, which have more classical design, although they are absent now on the market. 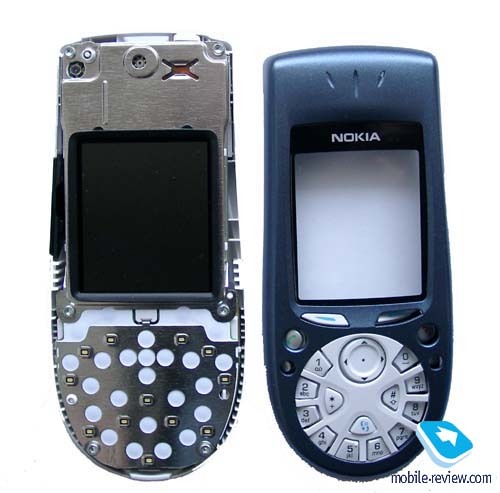 Nokia 3650 has lower ringer compared to Nokia 7650. The other considerable change is concerned the proximate sensor. It is absolutely missed in this smartphone. If a speaker phone is turned on and the phone gets too close to your ear, it will continue working. In case of Nokia 7650 speaker phone is turned off. On the whole 350-400 USD is a reasonable price for this phone. It has rather rich capabilities and you won’t be able to buy more functional smartphone at this price in the near future.